La Croix Berry Flavored Sparkling Water. The newest addition to our LaCroix Sparkling water line up. This was a customer request. After we brought it into our warehouse, sales have done nothing but continue to climb. 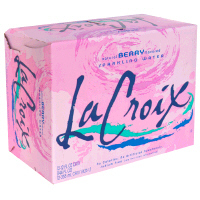 Berry La Croix Sparkling Water is in a convenient 12 count case. Enjoy! !